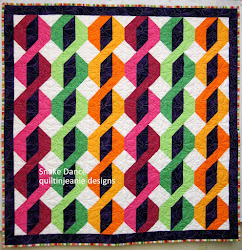 Jean's Quilting Page: Good Wishes quilt finished. 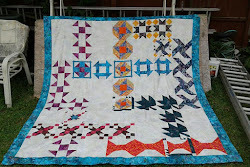 I finished Mom's Good Wishes quilt yesterday by adding the binding. These pictures are a little better than the previous ones and show the buttons I added to hold the pockets down and add detail. Family members have been sending me messages to put in the pockets. I plan on going to see them this weekend, so we will give it to her then. 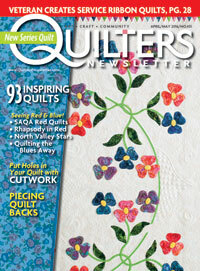 I also finished my round robin quilt and washed them both last night. These pictures are before the washing. I am teaching 2 classes today....the first session of More Peas in a Pod, that I am teaching as a kid's camp this week and session 5 of Sampler 12 tonight. 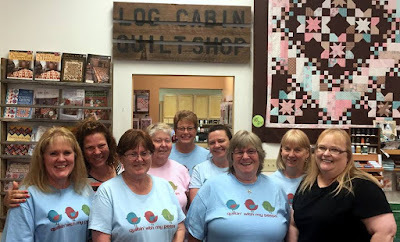 A very quilty day! I'm impressed, some finishes! Go Jean! I'm impressed too! Always feels sooooo good celebrating finished projects! New fabrics....yes, I was almost out!